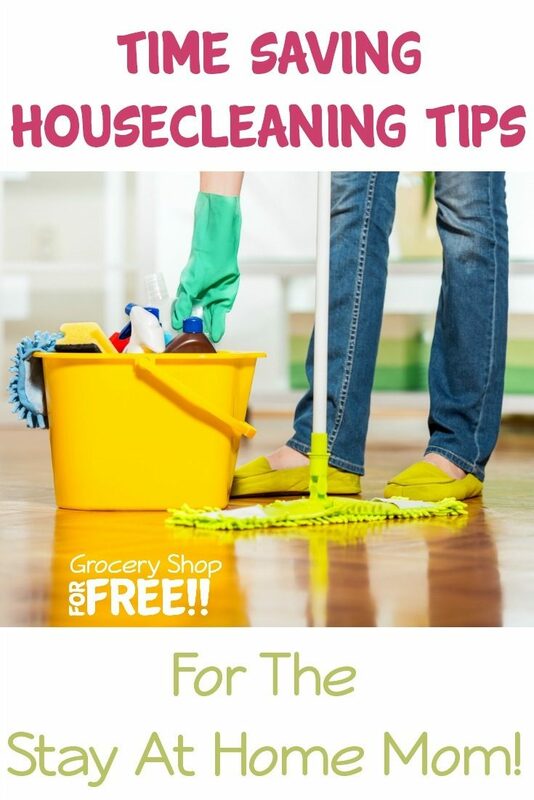 You are here: Home / Family Living / Cleaning Tips And Tricks / Time Saving Housecleaning Tips For The Stay At Home Mom! Being a mom can be exhausting. Even though they may be the most important job you’ll ever do, kids can take it out of you! Often, the housework can take a back seat… and who could blame you? House cleaning however, does not need to be a large burden! 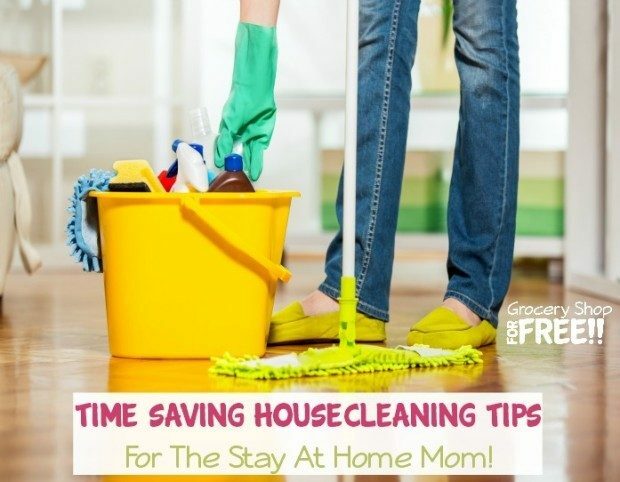 You can make it easier for yourself with these fabulous Time Saving Housecleaning Tips For The Stay At Home Mom from Jennifer of The Jenny Evolution on how to save time on cleaning the house when you’re a stay at home mom. The best time to save on cleaning time, that won’t take away from the reason you became a stay at home mom in the first place, is to clean when your children are at school. When you do this every day they are at school, the cleaning time will decrease as you will not need to clean the same items and areas of your home each day. This gives you extra time to take that yoga class you’ve wanted to join, go for a leisurely walk, read a book, or take up that new hobby. You could even use this extra time to prepare dinner for the evening, so you can spend time with your children. If your children are young and not yet in preschool, keep reading for helpful tips! When you have youngsters at home, cleaning time may take a little creativity to complete. The best time to do general cleaning is when your young ones are taking a nap. This is when you can clean the bathrooms, kitchen, dust, and mop the floors. You may even be able to get in a load of laundry at the same time. Since this doesn’t need to be done every day, you can also use nap time to spot clean or take on a cleaning project that you do once every season. When you do this daily, your cleaning time decreases. I never understood the adage of napping when the kids nap, except when you have a newborn. I was never a napper — I couldn’t stop thinking about everything that needed to be done! While your children are busy in their rooms or at the kitchen table doing their homework (if they are younger and need supervision), you can use this time to clean the surrounding areas, such as the kitchen and eating area. While still providing supervision, you can tidy up or even clean out your refrigerator. If your children are too young for homework, put together some quiet busy bags that they can do on their own. By doing little tasks like these at different times, you save on the overall amount of time you spend cleaning each week. This is the extra time you have now that you are home, when maybe in the past you would spend an entire weekend day cleaning the whole house, losing time that could be spent with your children. I can’t emphasize this enough. When I get tired and don’t keep up, the house seems to topple over! By doing a little each day, such as washing a load of laundry every other day, or three times a week, there will be no laundry on the weekend and you can enjoy that time with your partner and children doing other fun activities. After each meal, wash the dishes, wipe down counters and appliances, and even clean the floor if it needs it. This means less cleaning that needs to be done during the week, saving you time. You may only need to scrub the sink or appliances once a week, so if you do it at the time you are washing dishes, you won’t have to do it on a big cleaning day. Cleaning projects done during the week, and tidying up each day allows for less time spent cleaning, because the house will always remain in order. Usually when you were busy working, the large cleaning days were set for your days off. Now you can do a little each day, that will cut down on cleaning time and allow you more time for the fun things in life – your family. Jennifer is a mom of boys, the family cruise director, the better half (occasionally) and a short order cook. You can find more smart parenting tips and easy family activity from Jennifer on The Jenny Evolution.